A reminder that I will once again be tweeting my thoughts from the crucial jury rehearsal tonight which runs from midnight-3am local time. I will also provide a summary in the comments section to this article. We got used to seeing the songs in their semi-final running orders. Now the deck has been shuffled and a few jokers added. How does it fan out? It’s not easy to tell based on this run-through. Many of the acts were taking things easy. After all, at least ten of them had a very late night yesterday. Many were not in their proper outfits and plenty were sensibly saving themselves for the juries. The feed also went down in the press centre so we got nothing of the UK and Hungary. We had a picture but no sound for Albania (though I swear I could hear her 500 yards afar in the Crystal Hall anyway) and were then largely blind for Lithuania’s Donny. I was gutted. Our account only begins with Bosnia. Maya Sar was much as we saw her last night. The effective camera shot that sweeps back for her nice note towards the climax is now repeated again shortly afterwards for the following big moment. It’s well presented if unexciting which tees things up very nicely for the Russian Babushki, with whom we get some excellent shots of the cute small one. Though drawn early, their appearance and the disco beat gets the ‘Party for Everybody’ started. Iceland is very serious in comparison. The last minute remains powerful between Greta and Jonsi but it feels like a while before we get there. It’s a good lead-up for Cyprus’s Ivi Adamou and the bouncy ‘La La Love’. I take back most of my extensive critique of her routine on Tuesday. It’s actually come together really well, and the sense of movement is just what’s needed after ‘Never Forget’. The vocals are also being more effectively mixed. This doesn’t feel like such a bad draw after all. I hope that Anggun was saving herself for the big moment because her vocals were underwhelming. The same could be said of Italy’s Nina Zilli who was only in second gear this afternoon. I’m not sure her silver dress, which competes with Greece’s Elftheria on shortness, is particularly wise. Due to technical problems with the feed, we got nothing of Estonia’s Ott and not much more of Norway’s Tooji, who I couldn’t really judge on the interrupted sound I was getting. He was followed by a break where they will be interviewing Engelbert Humperdinck. Another one not putting in her all was Sabina Babeyeva who was shrill in parts and hit some bum notes for the host country. Her backing mugham singer is still wailing in a way that won’t be doing her televote appeal in the west any favours. Romania’s Elena also felt like she was not at full throttle but Mandinga and her clearly liven up the show. Denmark’s Soluna Samay was clad in scarf, pulling out of notes and clearly trying to save herself for when it matters. Greece’s Eleftheria was breezily efficient in selling the ethnopop ‘Aphrodisiac’. Sweden’s ‘Euphoria’ has a completely different feel so neither song feels particularly compromised being next to the other. Loreen has the routine down pat. Turkey’s Can Bonomo offers a welcome change in style and temperament too, and this was just as we have seen it all week. It suits Pastora Soler being drawn after this, the opening piano riff ushering in a more somber tone. She’s in a thin pale blue dress and sings the final big minute in the teeth of a wind machine that’s going like the clappers. She wowed the press centre once more with her vocals. They appear to have gone for the blue top over white vest with grey beanie for Germany’s Roman Lob. This was another workmanlike performance of ‘Standing Still’. Malta’s Kurt Calleja brings a welcome change in energy at this point. He was understandably going through the motions this afternoon after his late night in yesterday’s semi. The same goes for Macedonia’s Kaliopi, though she still managed her trademark scream. This fits in well with what’s around it. She’s followed by Jedward who are in the same Power Ranger outfits from the semis. This was another easy-going rehearsal – they didn’t even bother with the fountain. The appearance of Serbia’s Zeljko Joksimovic is another striking change in mood. Ukraine’s Gaitana was saving herself, though the opening riff also felt like the herald of an ideal draw, whilst Moldova’s Pasha will be a fun climax to the show. Let me know if you have any further thoughts on the final below and don’t forget to check back for news on the jury rehearsal tonight. Interesting news on last night’s semi results from the EBU. A tie for 10th place! i suspect estonia and lithuania were jury saves and that norway and turkey were televote saves. but i can’t help thinking malta might have been one too, but for the life of me i can’t decide if that was a jury or a televote save? If I were a betting man (a phrase that isn’t heard too often around these parts! ), I’d put a large amount of money on Malta having been a jury save. It’s a different kettle of fish tomorrow night though, I forecast elsewhere a couple of weeks ago that the first uptempo after Germany would win the contest. That won’t now happen, but it’s still the right song at the right moment. Daniel, with your reassesmsent of Cyprus’ staging, does that mean you’re slightly worried about your Cyprus top10-lays? Personally, I wouldn’t worry. If anything, last night’s draw made it even denser in the top10 area, with for example Ukraine and Turkey becoming hot candidates for finishes there. What do you think? I think what you say is true, David. My assessment of the fundamentals about Cyprus remain – that it’s this year’s equivalent of Hungary’s Kati Wolf. A song that will get points in the Scandi region (though not that many given it’s a crowded field here), but is not of any real interest to juries, the former Soviet bloc and in the Balkans. I’m looking forward to hearing what you have to say about Roman Lob’s performance on tonight’s jury rehearsals, as I’ve backed him quite a lot for the top10 as the odds drifted over 2.50. If you’d also have time to mention the possible merits (or lack thereof) of such a bet in your Top 10 article tomorrow, I’d obviously be delighted as that seem to be your favourite area (although I fully understand you can’t take every “request” like this). My reasoning for the top10 bet is as follows. Anyone who has additional pro/con arguments to add is most welcome! That is a well good observation and certainly worth considering. Just a general question about the impact of the draw. In your opinion, is it more important to be drawn late or drawn around songs which provide a nice contrast? In particular, I have a reasonable position on Moldova to finish top 10, but despite it’s excellent draw of 26, wonder if it might get a little lost after Ukraine? It seems looking at the results of previous years that maybe it is not so important to be drawn late when it comes to placing top 10, whereas recent overall winners have all been drawn late? Hi there, Mrs S. I would always prefer a late draw first and foremost. I don’t think it’s too much of a problem if you’re drawn next to similar stuff but better at it. A change in mood or pace is a bonus though. As a general assessment, I would say we have a weak start to the contest similar to 2010, with a strong middle and a lukewarm ending disguising as a strong ending. I think Sweden, Serbia & Germany stand out as potential top5 contenders now, and also Romania from #14, having a similar contrast to what’s around it to Manga in 2010, who also took on #14. It looks like a bloodbath for top10 from Toojie onwards. I’m also starting to believe that the UK can go top10 now with the Group of Dross which follows it. Is it me, or do we get bad songs in slots #2-6 more often than not in eurovision finals?! I think I have about 14 songs as potential top 5 finishes now. I haven’t got a clue what’s going to happen tomorrow night. Though if you had to put a gun to my head I still feel Sweden can do it. 17th isn’t a bad draw, and they have put in a mini break after them. It has started entering more iTunes charts since last night, which must count for something. I think it’s going to be a close run thing at the top though and I wouldn’t be surprised if something that comes 2nd in both jury and televote accidentally wins overall. I watched twitter through the rehearsals, Pastora wowed again as you say. I did watch the songs in final order today, last 30 secs into first 30 secs of each one. One thing I will say I didn’t give Germany credit enough. He is dam good singer and it looked good on second rehearsal. Still think may fall short. I would be doing somersaults if Gaitana managed to win at the prices I have her backed at. It does have that great intro and riff as you say and is instant, it looks great and has cool, classy and fun feel. Maybe just maybe. That’s not heart ruling head either. It just has that instant uplifting fun feel to it and god has it got the perfect draw and Gaitana is accessible and likeable. That little dance she does is vote getter also. With Pastora wowing again and Gaitana draw maybe Loreen is beatable and obviously Serbia with the draw hard to rule out also. Malta in a final friendly voting?? Most my bets running now anyway, except a cover bet on Loreen if we think she will do it. She’s very short though and of course a WIN bet to be placed. Top 10 market and Top 3 market? It suits Pastora Soler being drawn after this, the opening piano riff ushering in a more somber tone. She’s in a thin pale blue dress and sings the final big minute in the teeth of a wind machine that’s going like the clappers. She wowed the press centre once more with her vocals. Pastora will probably do the same to the juries but Daniel did say allot were saving themselves for tonight. She is seriously good and deserves to win on sheer performance, she is nailing a very good but difficult song to sing. If she wows the public the same way going to take serious beating and judging by reactions after second rehearsals online Pastora may very well do that. She still remains a great value bet amazingly and this game all about a bit of value most of the time. I really tempted the past few days to have one proper go with her, put decent amount on yesterday and backed at very start but waiting for Daniel input and guidance. I’ve nailed the last 2 years. Less confident this year because of the type of song. Very jury friendly, but doubts over it’s appeal to the viewers. At the prices though I don’t see any better bet than Spain. Yes indeed few nailed here on Sofabet. It’s by far the best site and commentators. Naturally few doubts but she is so good though. They are shrewd too, played down the glamour all week at rehearsal etc. If only those backing singers stayed puT. Wasn’t as bad second rehearsal though and YouTube viewers loved it. Be interesting to hear what Daniel thinks tonight when the A game is played. Outstanding price I think also. Gaitana not out of it either I think. At least we were onto one that could topple Sweden at a price even if it was bit off the radar until last Sunday. Spain are certainly going to be in the mix. Germany too could prove a big challenge. These are both songs the juries should go for above Loreen. Obviously Serbia could pull a good jury tally too, and a good eastern televote – not sure the west will go for it, but the draw obviously helps. Romania, Norway, Greece, and even Ireland not out of it for me. Ukraine helped by the draw will put a late challenge in as well. Could be a much closer final than many think. Spain deserves to be top 5 IMHO, but after seeing how badly Austria and Slovenia did last year on televotes I don’t expect Spain to do any better. It’s a fantastic song but not a televoter-friendly one and top 5 with the juries, bottom 5 with the televotes seems rather likely. Disagree – it has the standout and most memorable musical moment of the competition. Stunning vocal that gives goosebumps. Engelbert is not sounding very good. I don’t think he’s going to finish in the top 10. I don’t get the sound from this webcam, Ivi was sounding horrible at places but no report mentions it (except on escxtra). Is it the case that my ears hear what I want them to hear? I’ve been watching it (great link) and there have been references to bad performances by Englebert (UK) Ivi (Cyprus) and Loreen – apparently she missed a line or similar? Eng seriously messed up there. Bum notes all over the place and he’s been consistently messing up the last note. I think it would be the right note if he was still singing it in the original key of the studio version, but they have taken the whole song lower. I don’t know why no one has told him to sort it out because he has got it wrong every single time. Nina Zilli isn’t exactly nailing her vocal either. I can’t see Italy topping the jury vote again this year. She refuted that in a press conference today. If Spain didn’t want to win they wouldn’t have picked the number of 19 to sing from. Loreen appeared to swallow a snowflake or something and missed one of the lines in the bridge, but she recovered and sounded great throughout the song so I think she’ll have got away with it. What do you think on betting that Estonia would place higher than Moldova or Norway? And that Denmark will beat Iceland? JURY REHEARSAL UPDATE: Reports will be dominated by Sweden’s Loreen and Romania’s Elena missing a line (Loreen coughed on a snowflake bringing to mind this). It should be said that both were in very fine form otherwise. I will reiterate that Slovenia’s Maja Keuc won the jury vote in her semi-final last year despite swallowing a line herself. Otherwise, highlights were definitely Spain’s Pastora Soler and Albania’a Rona Nishliu. Also strong were Estonia, Denmark, Moldova, Serbia, Macedonia, Lithuania, Bosnia, Malta, Greece and Germany. Italy’s Nina Zilli was much improved on this afternoon. Azerbaijan improved as well though Sabina was not wowing us the way she had last weekend, and went a little shorter on some notes rather than go wrong. It was not a good night at the office for the UK and France. The rest were pretty much as they were. Listened to a Livestream of the audio and followed tweets. That video is funny Daniel, the best laid plans in a live show hey. Paddy Power in their kindness on reaching 150,000 likes on FB have increased the odds on UK and Ireland. Very kind of them. Good night and thanks. ha ha the two no hopers? 😉 we wont be winning!!! Full performance here, just found. Ooh that bit afterwards where the throws in a panicked “oh whoah oh”… what must have been going through her head! At least she managed to get through the last chorus fine. This year is proving incredibly difficult to predict! Having watched some of the afternoon rehearsal on the Greek feed, Ott totally blows away Nina before him and the Azer song after. A high jury vote looks assured and a pretty decent public vote too. Top 10 looks good value. How long can a “blowing away” last though? Between Estonia and Azerbaijan there’s Norway and a break, if I’m not mistaken. Should be time enough to “reset the gauge”? Norway is a very different song. Infact you couldn’t get more different. So I have no worries about Norway following Ott. As for how can a ‘blowing away’ last. Just checking the last 3 years, 14 of the 30 songs that filled the top 10 places each year, were drawn in the 1st 12 positions. http://www.esfmagazine.nl/?p=11637 I have it in my TOP 7 Cliff. I do think that people underestimate this entry. Ive absolutely loved this song since I first heard it with great lyrics and vocals but I’m just amazed at the lack of hype particularly where others of which I won’t mention are getting more attention. Last year I backed Azer from the start at great odds – I guess I’m looking for some assurance! Thanks Gert I hope we’re right! Well only a few wee hours to go before it all kicks off, and all those hours of watching the songs on youtube stops, and the competition begins. Now with loreen song going so short bookmakers I’ve now decided the song is fanwank, but instead of a lay at around 2.26 betfair, I feel I should look for an alternative winner. But who can win this if not loreen, well I think you can rule out anything not in the top ten win market, because punters on betfair are not mugs, and if you look at the two semi finals they had the market right but one, malta. Draw I feel will have a great impact in this so I’m only going to look at what’s strong in the last ten. Here goes, sweden well we have ruled her out so next up is turkey, fun song male dancers turning their coats into a ship, strong televote but can’t win. Next spain boy do I love pastora that $ note is something alright and she may just do it, how ever I feel the song takes to long to get going, and take the $ note out it has nothing much more to grab you. next germany and this is roman lob, who is available at 50 betfair hmmmm is this a bit of value draw 20th good looking young man, good hook song this jumped out at me as soon as I heard it. I can imagine all those jedward fans waiting for their pop idols to appear in the waterline seeing roman and changing their mind on who they’ll vote for. This song is a stand out win it really is. Now after germany things go a bit down hill in eurovision, malta just qualified and eh eh eh eh eh eh well can’t see this winning. Macedonia well her vocals aren’t the best say compared to pastora so no win I’m afraid. Ireland well waterline is a little better than lipstick but I can’t see it doing better than their 8th place last year. Serbia well zeljiko has a great voice and he’s top4 contender, but that’s about it top4 even with his great draw he can’t win. Ukraine well gaitana she does give the it some up beat number here and I do like it, the screen in the background give a party atmosphere, but at even money for a top 10 place I maybe looking at a lay I feel. Moldova I think is also a great little number and gets me dancing, but I think most viewers will have made their minds up already, and will be heading to boil the kettle just before they place their televotes, hopefully it won’t be for the jolly(loreen) and something else surprises us. Great find Boki – really highlights how we have to wait for 10 songs before anything serious happens in the contest. Apart from the Grannies the rest of the first 9 are really going to struggle. Yes I agree Justin. The favourites have all been drawn kindly except Russia so the first half feels like a bit of a warm up, and there could be a lot of high (and poorly) scoring entrants as a result. Anyone else think Spain in the Top 5 big country market at 4/1 are value with Wh, Coral & SJ , lads are only 13/8! Surely only Italy to beat ( with Germany to blame for austerity in the eyes of the voters ) and Uk and France not at the races. From what I could hear on the live feed Spain absolutely nailed it last night. It must be very near the top of the jury vote. The problem is the song and the staging look like one of those Saturday night shows on ITV from the 80s. I think it only has limited televote appeal – though the late draw will help. Daniel, just how poor was Sabina last night? Do you think she has lost her chance of top5 and even top 10? My bookmaker offers 1.85 odds for Norway to get better place than Macedonia. I want to put lots of money for Norway. I don’t understand why Norway is so underestimated. Does somebody? Is this a value bet or not? I 100% sure this is a big value bet. I have a little theory I wanted to throw out there. Last year, a few Western European acts were in the top 10 that appealed to young, maybe female voters. Think Sweden, Denmark and Ireland. Who would that be this year? Maybe Loreen. Maybe Germany, Ireland. There’s astonishingly little choice on that front, and it should be good for those acts. What do you think? How big is the young teenage female vote? Well I can tell you SED that Jedward have been trending at #1 and #2 worldwide on Twitter at the same time today, so that may well answer your question. Some terrific focus on the site as usual. I believe SERBIA will win this evening because the entry is strong and the Balkan equity is strong. I thin 15/2 is a knocking bet. Otherwise there is not much talk on here about Englebert. It would be unwise to rule him out just because of the draw. Ok, it’s not helpful bit better going first than somewhere in the middle. If Hump sings well he could just set a high bar. I am going on Serbia on the nose, Hump ew at 16/1 and Hump to be in the Top 10 at 11/8. Simon, apparently The Hump was bad and vocally off at last night’s jury dress rehearsal, during which 50% of the votes were cast. After following the contest all the way I agree that SERBIA should be favourite, and is my tip for the win (certainly at the odds) however I fear that Englebert is a strong contender for last place. The first rehersal is even worse. I take it back- not a cats chance in hell! 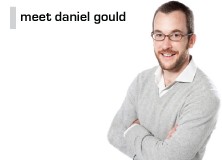 Daniel, I’d just like to say a huge thank you for guiding me through the minefield that was Eurovision 2012. I’ve been addicted to Sofabet for a year now and last night was my biggest win thanks to your advice. If only Greece had two extra points I could have doubled my winnings. Pesky Cyprus!!! I’ll look forward to the X Factor.